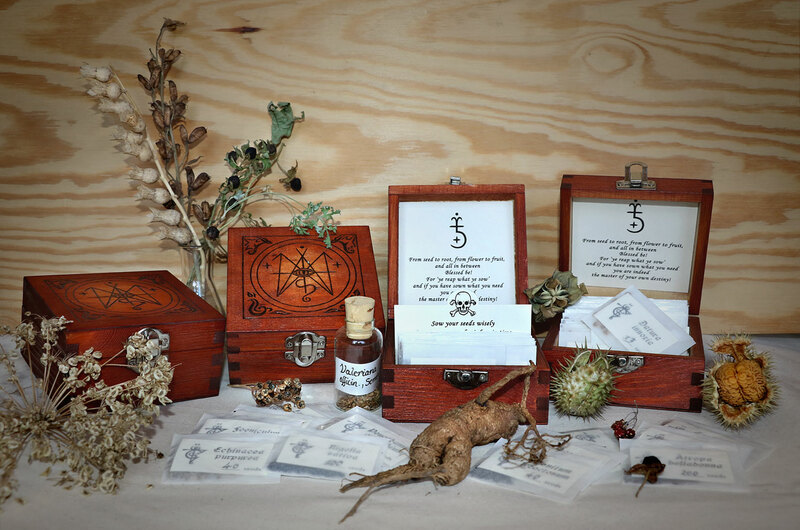 The boxes contain seeds from at least 44 different venific and benific ‘witch’ herbs. 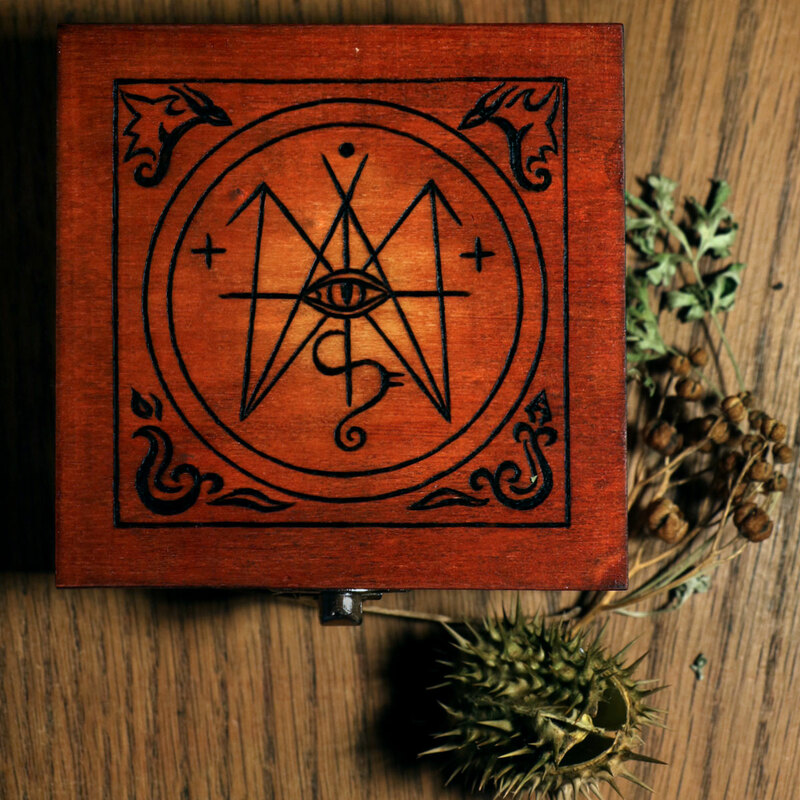 The boxes are pyrographed with the “sigilum major” or “greater sowing seal”, stained and varnished. Then hundreds of little paper bags are labeled and filled with the seeds, which I partly gather by myself and partly purchase from other places. I usually spend at least 40 hours on four of these boxes. It is a tedious but also rewarding process, which gives me the chance to connect deeper with the herbs and it also empties the mind and brings new inspiration. It is my hope that the content of these boxes will bring joy to others and aid them in their own studies. Update: the boxes are sold. Please write to me at info@teufelskunst.com if you wish to reserve one in the future! This time it is not about a surreal dream and also not about the fennel. But it is about another plant’s “fingers”. In folklore the male fern’s “hand” is a lucky charm, meant to bestow fortunes and the power over the souls of the dead to it’s owner. In order to obtain it, the sorcerer must harvest the male fern’s root on the Eve of St. John. Then he must roast the root in the fire. The hand is made in such manner as to bind five strands of the fronds together: the root base of the stem is left attached and the rest of the frond’s foliage is removed. The result resembles a “hand”, with tendons (hairy stems) and fingers (stipe bases). Frankly, I never made such “hand” in this manner. But I’ve gathered plenty of male fern roots and had the most magical experiences granted through working with these roots in various ways, always discovering new aspects to this wondrous plant. Above is another version of this “lucky hand”, formed by the stipe bases and a single frond.